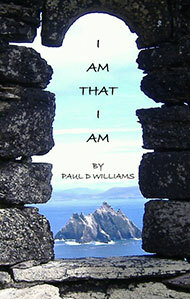 This book is primarily a guide to the spirit self that is within all of us, its main focus is to draw the readers attention to the fact that they are complete within themselves, that they are loved and are made from love within themselves and that seeking love from an outside source is a distraction from what they have already, and that it is these distractions that cause all the upsets and distress in our lives, making us needy instead of the loving and giving beings that we are. The book also teaches that we are spiritual beings first and foremost and that our human existence or lifetime is a learning aid or tool to help us remember this, and is a preparation for our return to our true selves as beings of unconditional love. It outlines that this preparation includes experiencing all feelings and belief systems that are not unconditional love that we are holding, so that we can recognise these and heal them. This book gives practical advice and simple exercises to help the reader take control and responsibility for their own thoughts, feelings, actions, and reactions in their day to day life, empowering them with the power to choose between the ego or human self and the inner spiritual self. The book talks about what is temporary and what is eternal, what is truth and what is illusion, and how to remain vigilant and aware of your state of being as you slip in and out of various states of being and of the lessons you can learn about yourself in these different states. There are also some poems reflecting the messages and teachings between chapters. Throughout it offers inspiration and guidance to help recognise that the emptiness we feel and fear as humans is not empty but is in fact overflowing with love when we choose to live and practice living as spiritual beings. The messages in this book were channelled from Archangels Michael and Gabriel together with a group of Ascended Masters. The purpose of the book is to spread the message of the Symbols. It has been written with simplicity as its goal. 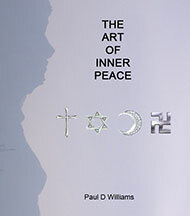 This book is for all who seek to bring peace into their own world and through themselves, into the world. The book contains its own energy and the simple meditations and breathing practices will connect you to that energy-the healing energy of Angels. It contains messages from the spirit world-a world to which most people believe they will return to. These messages can help you unblock “stuck” or negative energy – thought and belief systems that result in repetitive behaviour and emotional patterns passed on from generations, both individually and collectively. The reader has an opportunity to perceive life in all its forms from an uncomplicated viewpoint. 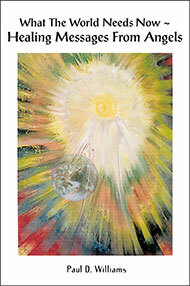 Archangel Michael’s message containing “The Earth Experience” simplifies the whole of creation into one single thought. How this thought was acceptable to “all that is” and why it is continuing “as it is” today. He tells how mankind simply “emerged” from Angels and how we continue to create with our thoughts, words and actions. Archangel Michael also tells us that human’s manifested on earth as “The Seven Tribes” of humanity, simultaneously in seven different locations. We discover how fear was introduced into life, resulting in the conflicts that exist today. We are also inspired to create “Heaven on Earth” within ourselves. Archangel Gabriel’s message offers us an insight into the continuation of life or the after life as we know it and he speaks to the eternal spirit within us. He shatters the illusion of our ego-self and allows us a clear view beyond the moment we call death. We are told there is no death-only fear of death and how justice and judgement belong to us. Every moment is an opportunity for spiritual growth and we are told how we need to overcome our fear and to find out who and what we really are. The messages within the book challenge our long held belief systems of scientific, philosophical and theological thinking.